A Rocky won't be riding to the rescue. Brad ain't coming. The days of Isas and Dougs are over.  Irish provinces are not going to get that experienced, world-class international anymore. They need their own stars to step up. That, or get the promising Kiwis, Aussies or South Africans (or Fijians) when they are young. 'See you in three years lad'. 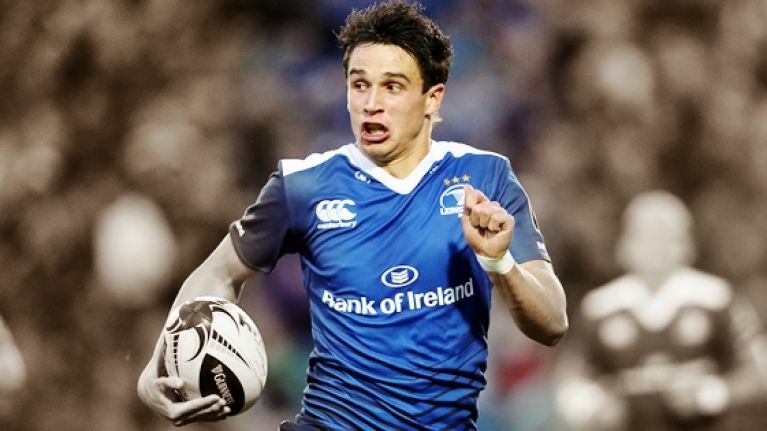 Joey Carbery was 12, going on 13, when he first arrived in Ireland. This was no long-term Irish-qualification scheme. It was a case of his father getting work, in Athy, and the family following. Carbery's father was also his coach, at Athy RFC, and he flourished under fellow Kiwi Andy Wood at Clontarf. He's got the Kiwi rugby genes but has grown up the Irish way. It's a heady mix. Early season games are often ambling affairs. With Benetton Treviso in town, you could forgive some folks for thinking 'I'll catch the next one'. For the 13,000-odd that showed up at the RDS, they saw the start of something. 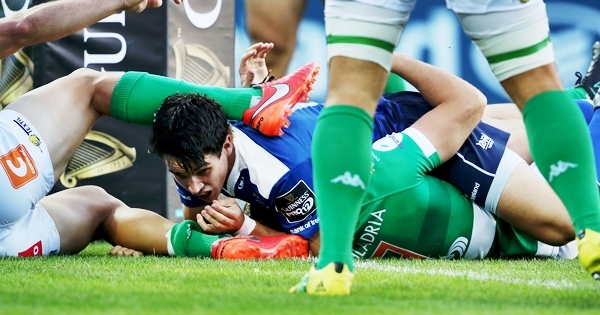 156 seconds into his first senior Leinster start and Carbery was over for his first try. 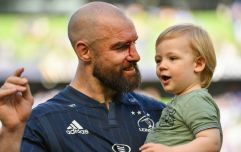 The jink right, and inside the drifting Italian defence, was sublime but it was also the third time in 40 seconds that Carbery was involved in the left-to-right-to-left attack. He was clutched and pawed by two Treviso men but he had too much momentum and touched down. Six minutes in and Carbery was there to mop up after Noel Reid had a clearing kick blocked down. He wasn't content with spinning off a pass. He swivelled, lost his man, broke the line, made metres and found Dan Leavy in support. That was followed, seconds later, by a poor dink over the top. He's not perfect, the crowd realised. 27 minutes in and they were having second thoughts about those second thoughts. Carbery picked up a loose ball and gunned. His first thought was to put some yards between himself and as many green jerseys possible. He had a man off his shoulder as he neared the Treviso 10m line but he had adrenaline, youth and pace too. Another try. We know from the recent retirement of Johnny Holland that rugby can end a career whenever it damned well wants. We'll try not to get ahead of ourselves but forgive us Carbery repeats this feat against a tougher foe and we go all Ringrose on it. Leinster looked as if they were thinking fondly of those late June days on the beach as they sauntered through the second half. Carbery made a few nice darts, held his tackles and grubbered well up the line. Treviso were doing well with the scrum and found themselves within a score going into the last 10 minutes. 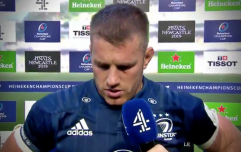 James Treacy's barge over ended hopes of a shock comeback and gave fans glimpse of a bonus point finish that never came. We know it is Treviso but the Leinster fans will have taken heart from the fearless debut of their 20-year-old outhalf. They're looking ahead with optimism. That's a gift in itself. Huge All-Ireland final GAA Hour features an interview with Kilkenny manager Brian Cody. Subscribe here on iTunes.